Great occasion to greet your lady! Make her Easter sweeter with our Easter candy sets. From chocolate eggs to Easter cakes, we’ll deliver Easter happiness to your girl. Send a personalized basket filled with Easter sweets! It’s time to please your girlfriend, it is a great moment to renew your feelings and to bring fresh emotions. 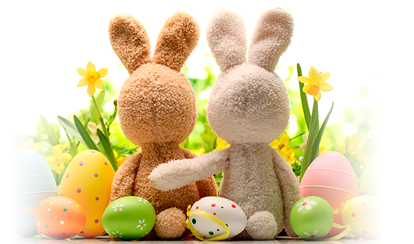 Wishing you a blessed, peaceful and happy Easter!